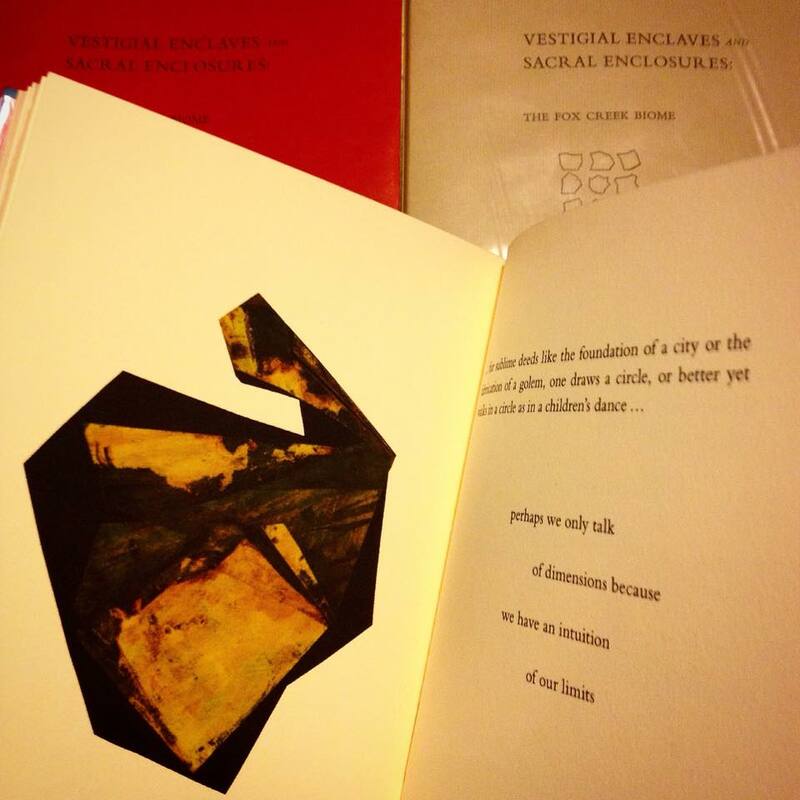 Photo of Leon Johnson's limited edition book, Vestigial Enclaves and Sacral Enclosures, which include a new commissioned poem by Bill Harris, almanac notes by Norman Douglas, photography by Leander Johnson, a commissioned composition by Joel Peterson (also performed live), six maps by Paul Bartow, and six new works by the Johnson. Designed, typeset and printed by Megan O'Connell. Handbound by Johnson.